Back in my thirties and forties fitness was something I did to prepare for the next physical challenge. I used to run the odd race and beforehand I’d train a bit harder. I was doing just this in the lead-up to my fiftieth birthday as I’d entered a half-marathon with my daughter. It wasn’t a surprise when it came, but the letter asking me to come to an appointment with a clinical nurse specialist in the urology department was never going to be good news. Over the next few weeks my diagnosis of prostate cancer was fleshed-out. Plans were made: it could all be solved if I had my pesky prostate removed. In the meantime, I carried on with my training for the half-marathon. The forward-thinking hospital ran a briefing day for prostate cancer surgery patients to prepare us for the operation and the recovery process. 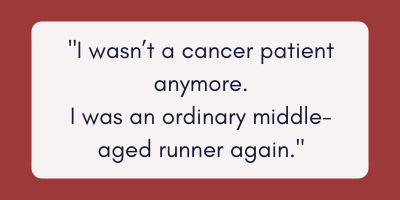 Yet despite my looming half-marathon, it was made very clear that I was not allowed to run for four weeks after the procedure. This was a challenge –I’d have only twelve weeks to train! To be honest, the race actually went pretty well. It wasn’t until the last three miles when the stuffing slightly went from my legs, but still I finished in one hour and forty-eight minutes. That race marked the day I finished my recovery. I wasn’t a cancer patient anymore. I was an ordinary middle-aged runner again. Fast forward a few years and I’ve done quite a bit of prostate cancer awareness and one or two extreme events to show that some people can make a good recovery from cancer. I came to realise that my fitness was part of this and that I should set out to become a personal trainer. I qualified earlier this year. However, making ordinary people fit isn’t my long-term goal. I want to help extraordinary people get fit too - the people who’ve had a cancer diagnosis and want to deal with it through exercise. 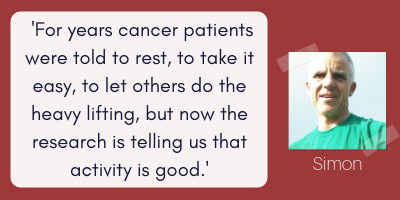 For years cancer patients were told to rest, to take it easy, to let others do the heavy lifting, but now the research is telling us that activity is good and will help ease the fatigue that is caused by many treatments. But there are other good reasons to exercise. Our muscles need to be worked and in older age they will naturally reduce in size, this loss speeding up as we age further. 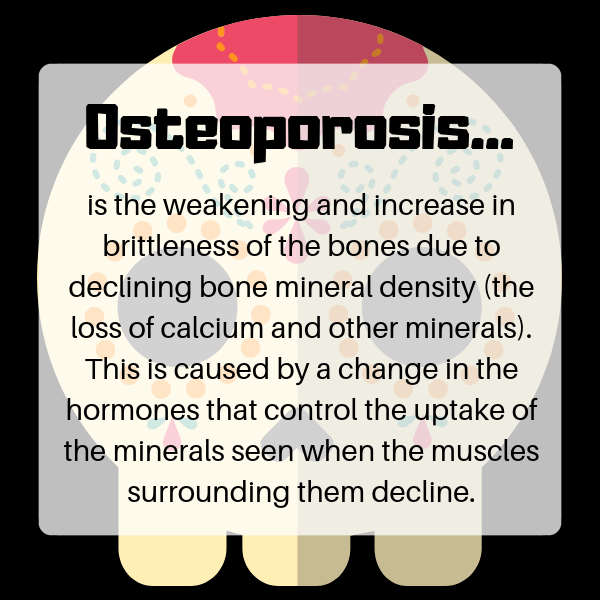 Bones depend on muscles to retain their minerals, so with declining muscle volume we become prone to osteoporosis. To prevent or at least minimise muscle loss they must be worked against a resistance. This could be body weight in the form of a simple squat or a triceps dip, or it could involve weights such as dumbbells to exercise the biceps. While walking and jogging are good for the heart and lungs they will have less effect on your legs and no effect at all on the muscles of the upper body. However lifting weights won’t transform you into the Incredible Hulk – they will just help you retain muscle amounts! The best reason of all though is that activity makes us feel better. My running often takes me through the hills above my house and I find I always have a better day after I’ve run to the top of a hill. The peace, the view and the happy dog alongside me guarantee that the day will go better. Try it! 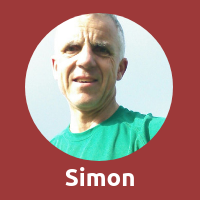 Simon Lord was diagnosed with prostate cancer aged 50 and had successful surgery to treat it. Eight years on he’s still fit and well.